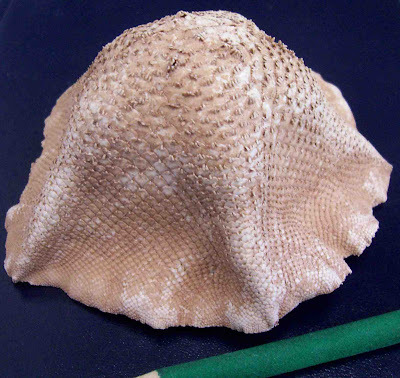 Behold the drab glory of the top hat seastar. That's about it. Behold it and wonder what makes it remarkable. 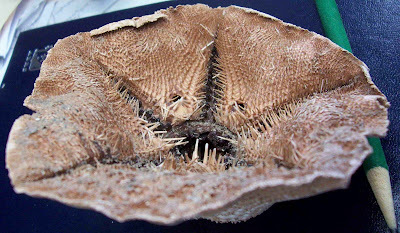 Hold it then flip it over and gape into its bristling maw. 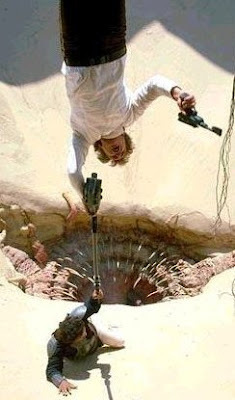 Then see the similarities to the sarlacc pit monster from Return of the Jedi. Thanks for the top hat seastar, Jelo. Would that more victims of this seastar had a Han Solo at hand to rescue them. I'm going to have to look at both sides of my hats before I put 'em on starting...now. Okay, now you're fusing animals and science fiction! A fresh, original blog. Likin' it!